It&apos;s been another great year on the OBX. We were named one of the 10 best places to watch a sunset by USA Today Travel. Duck was voted a top 10 East Coast beach. Thousands of visitors came to soak up the North Carolina sun this past spring and summer. But, we&apos;re not done. 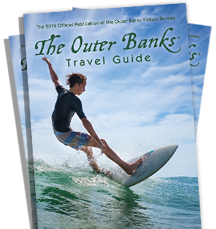 November and December on the OBX offer a season&apos;s worth of events fit to make anyone&apos;s holiday a little more cozy and bright. Enjoying the Outer Banks is best done with rod and reel in hand - even in November and December. In fact, the winter months cooler water temperatures bring some of the biggest bites of the year. Take a charter into the thick of the Gulf Stream while king mackerel are at their hungriest. Try your luck for the rare December-only rockfish. 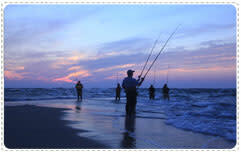 Or kick back close to the shore in Hatteras and cast a line for seabass and flounder. Of course, you&apos;re bound to run across some year-round favorites like tuna, grouper and snapper as well. Whether pier or boat fishing, let the cool waters heat up your luck on the OBX.